Now that silencers are legal in MN it’d be nice to get one that does everything. It could run the gamut from your .223 Rem/5.56 NATO up to your thunderous .300 Remington Ultra Magnum. Well, if you want all your firearms covered with only one silencer, let me introduce you to the SilencerCo Saker 762 silencer! The beautiful thing about the Saker 762 is not only its capability to suppress a wide variety of calibers, but also its ability to attach to your rifle in multiple ways. 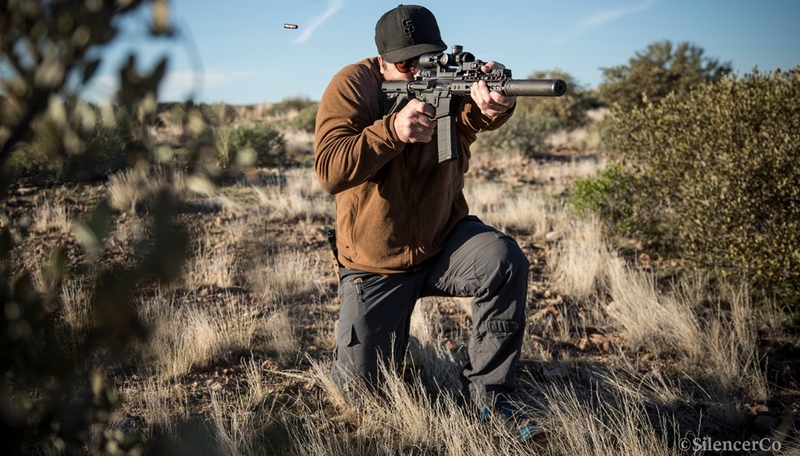 The Saker 762 features what SilencerCo calls a M.A.A.D. Cap (Multiple Accessory Attachment Device) to allow for direct thread attachment, or Quick Attach options directly to a muzzle brake or flash hider. The Quick Attach options are so easy to use that you can actually install the Saker 762 onto your rifle one-handed. This is very helpful because regardless what the end of your barrel looks like you’ll likely have no problem attaching the Saker 762. The MAAD™ Cap is a system that improves not only the rear cap, but also the front. It allows for a flush or flash hider mount to be interchangeably adapted to the silencer. All Saker 762 silencers come with a SilencerCo Trifecta Muzzle Brake. It is threaded for 5/8×24 TPI which is extremely common for .30 Caliber firearms. 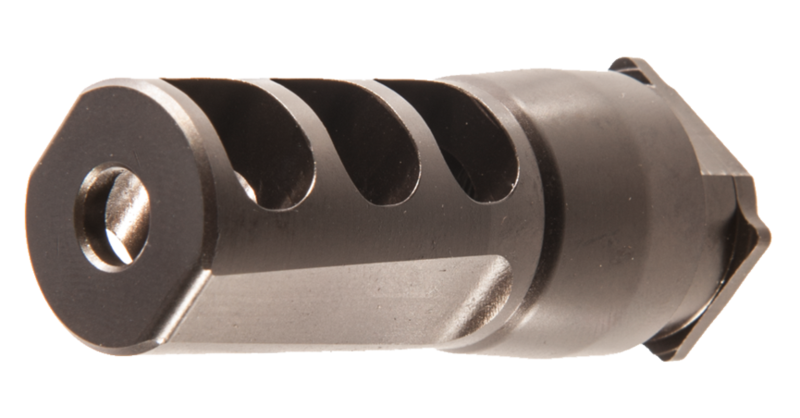 This is perfect for the Saker 762 because whether your silencer is in use on your firearm or not you can just leave the Trifecta Muzzle Brake always on. The Saker 762 is unique in its construction because it uses a Stellite™ material for the baffle system as opposed to the industry standard Inconel®. This is a plus for the consumer because Stellite™ is 30% stronger; thereby, improving the durability. Another plus to the Saker 762 being made of Stellite™ and Stainless Steel is that it can be tossed in a Hornady Sonic Cleaner if you want to clean it. How simple is that? Technically though, you don’t need to clean a centerfire rifle silencer because they so effectively trap gases and expel them out, but if you ever feel the need, Sonic Clean away! For a silencer that’s suitable for everything from your AR-15 to your elk gun, the Saker 762 is impressively light weighing in at only 20.7 ounces. The black oxide finish matches well to most firearms as well keeping the curb appeal high. The last plus to this do-all silencer is the fact that it is Full-Auto rated meaning there is no ceiling to your ability to have fun!